For that extra special person in your life. 50 red roses make up this extravagant arrangement. Presented in stunning gold wrap and in a handtied aqua pack. 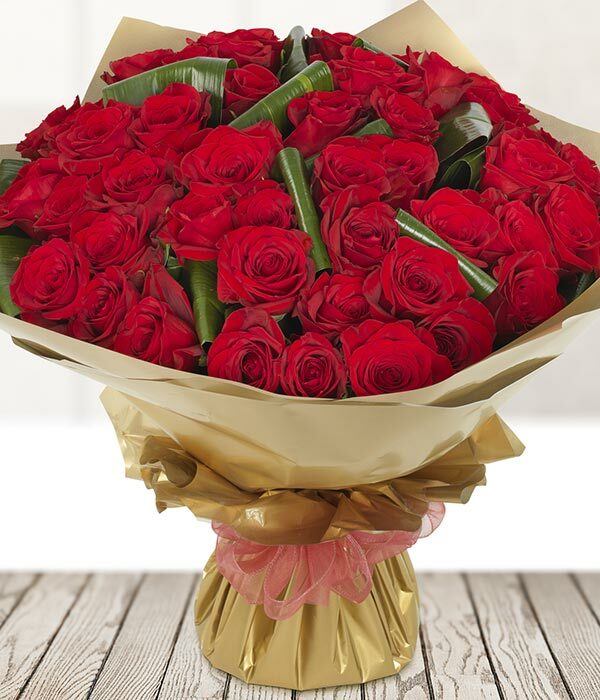 Our expert local florist will deliver the bouquet straight to the recipient’s door. This arrangement is handcrafted by a local florist. With our florist delivered items there might be some variations from what is shown, but all are hand-delivered by a the florist.